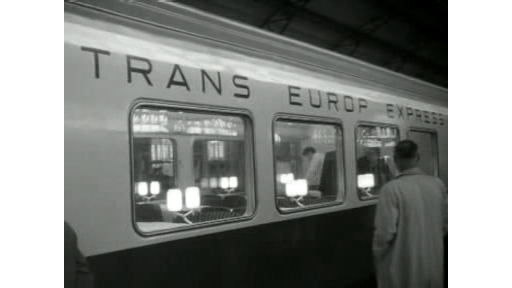 Trial run of the Trans Europ Express train, by Polygoon-Profilti (producer) / Netherlands Institute for Sound and Vision (curator), is licensed under Creative Commons - Attribution-Share Alike. Proefrit van de TEE-trein, een idee van ir. F.Q. den Hollander, president-directeur van de NS, voor een directe en snelle spoorverbinding tussen zeventig belangrijke West-Europese steden. 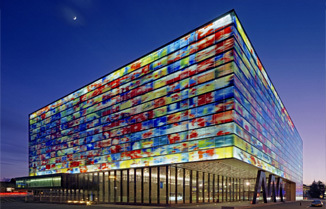 Met het int. van verschillende coupe's, de cockpit en de restauratiewagen. Trial run of the TEE train, an idea of ir. F.Q. den Hollander, chairman of the Dutch Railways. It provides a direct and quick railway connection between seventy important Western European cities. With int. of several compartments, the driver's cab and the dining carriage.